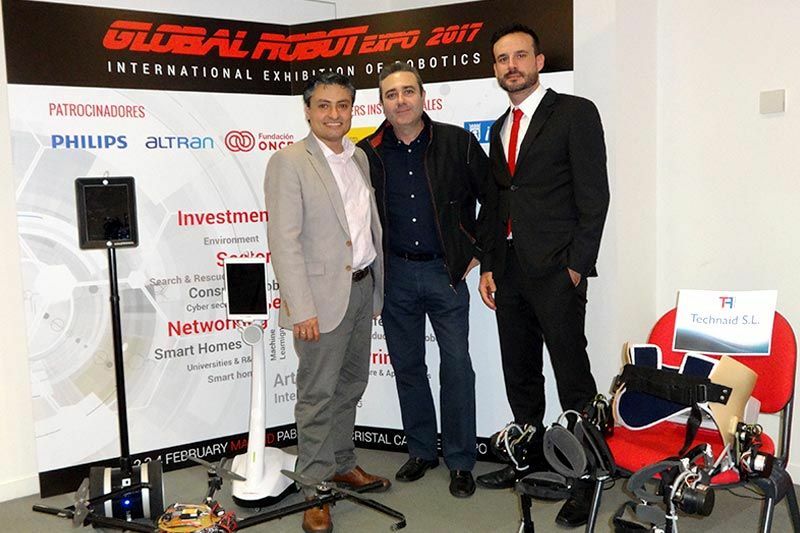 Last week, Technaid team and our Exo-H2 were involved in the conference press aimed to present next Global Robot Expo edition. 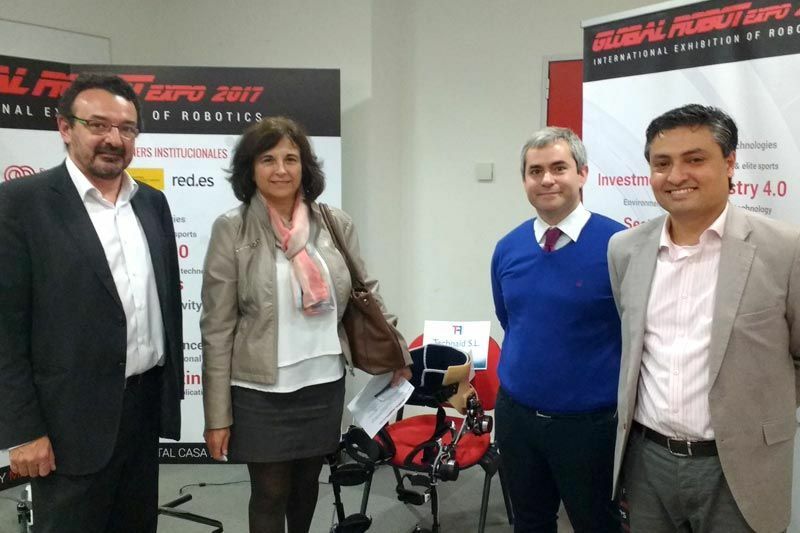 In that event, that is going to take place next February at the “Pabellón de Cristal” at “Casa de Campo” park (Madrid), there are going to exist several zones specialized in different robotic areas. As an example, there will be an area specialized in assistive robotics, where our exoskeleton Exo-H2 will be an important guest. 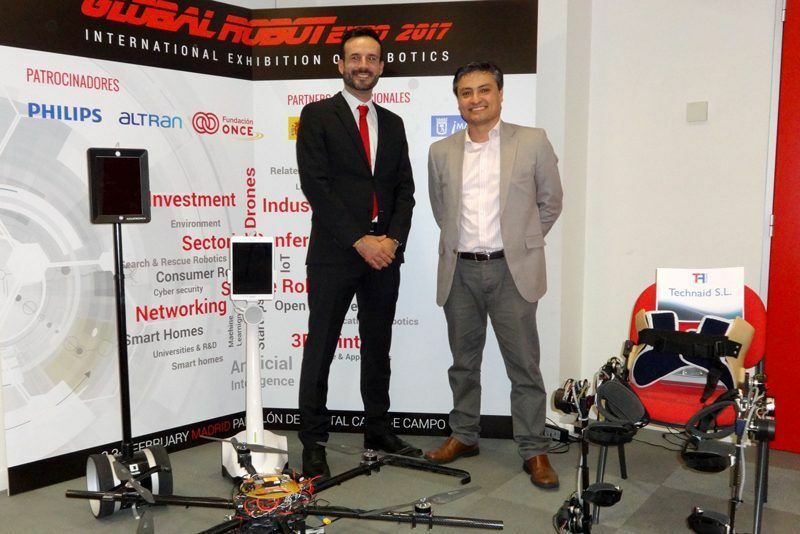 At the press conference, as well as Tehnaid, the technologic giant Altran (Spanish branch) took the opportunity too to present one of their last developments, a brain control system for robots and drones, based in EEG. Both companies showed to journalists the state of the art of our technologies which represent the high performance of the Spanish robotic industry and the high level of our researchers.